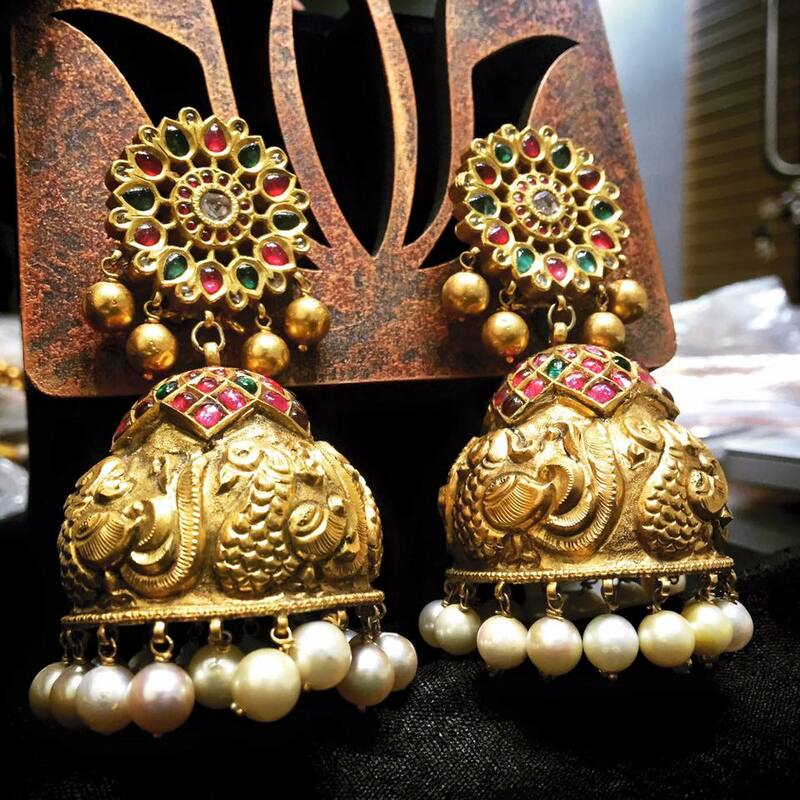 Home Accessories 14 Antique Jhumka Designs You Will Wear For Years! Hello, does anyone can escape from the charm of good pair of Jhumka? Those who read this blog know, our obsession towards a good saree is kind of unhealthy. If you ask us, what is the one Indianish thing that we can’t overlook next to saree, then you will get the swift answer ‘bold jhumkas’! 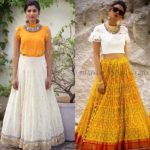 This chic accessory is the most reliable one to consider when you want to round off your ethnic look in a traditional tone. It has been in the accessory trend for quite long (in fact it is soooo long). The fact that even your mother, or grand ma for that matter, has her favorite jhumka wrapped up on her precious little box says so much about this classic piece of accessory. 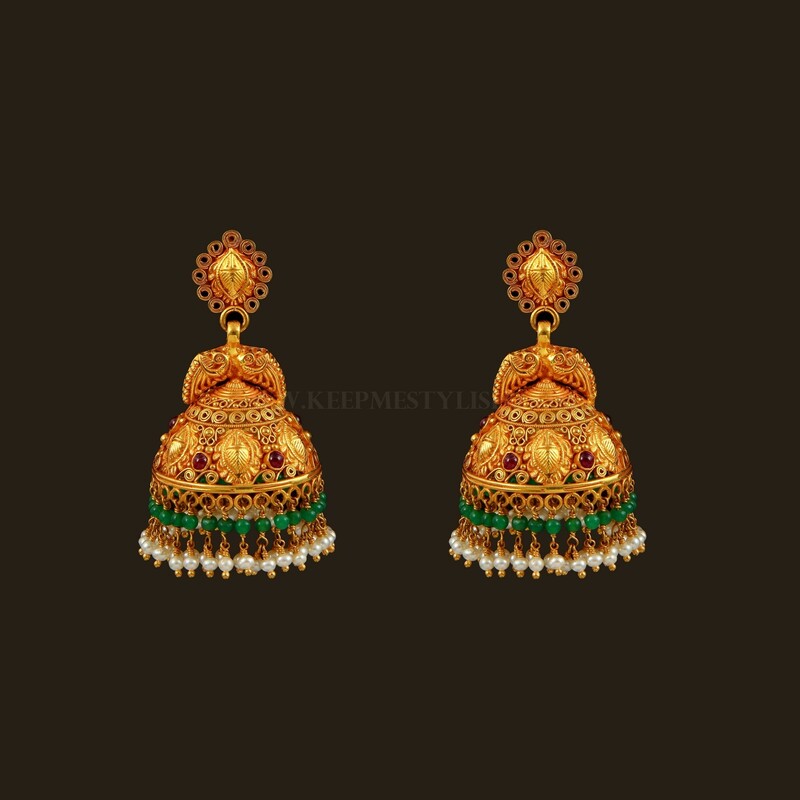 If you ask us, what are the interesting jhumka designs that you should check out this season, our first answer would be a good pair of antique jhumka for its rules the fashion reign now. 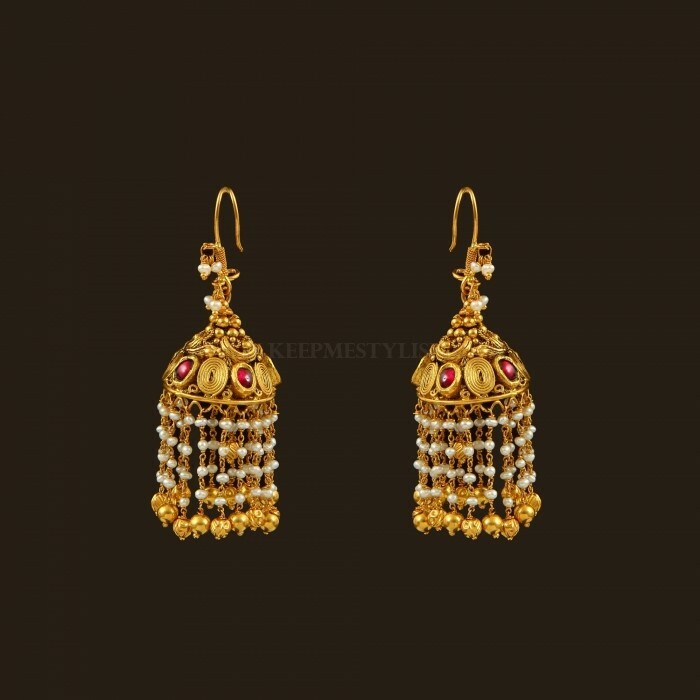 Predominately, antique jhumkas goes well with silk saress, lehengas, salwars and kurtis. Any cotemporary clothing made on silk can look totally elevated when styled with bold antique jhumkas. 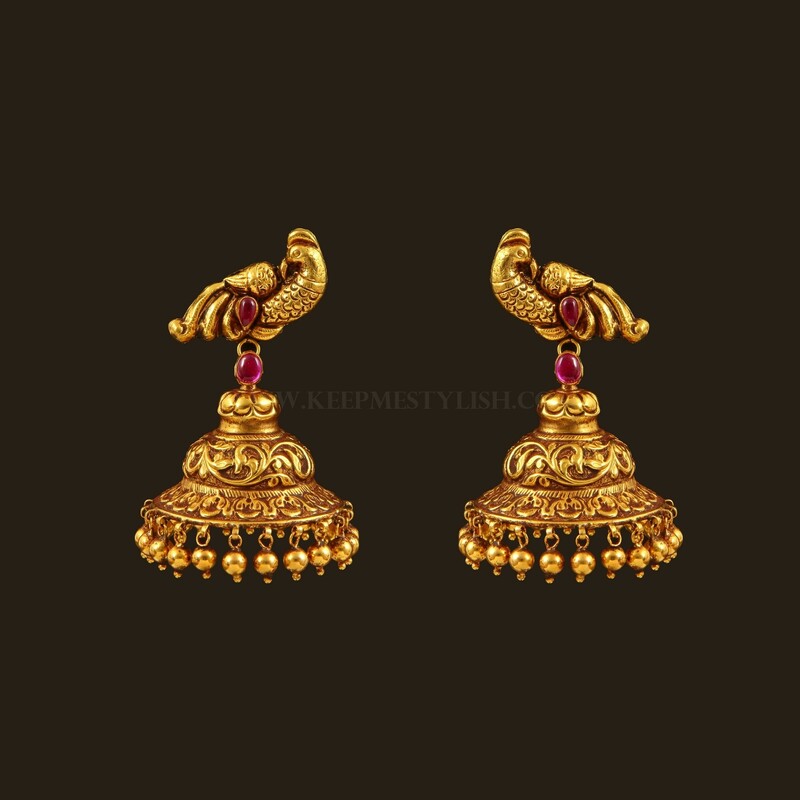 If you like to go deep further and want to know the exact antique jhumka designs that caught most of the women’s fancy, then we do have 14 models here for you to explore. Without wasting time, let’s go ahead and check out what are they! 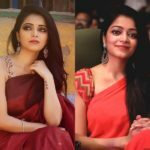 Have a silk or designer silk saree in deeper shades? Then a good bold stone jhumka should be your pick. Dark green, red, violet, purple silk sarees and lehengas can be made to look spectacular with a bold stone jhumka. Though stones can be of any colors, have a bright white CZ stone studded at your arsenal as it is the most hottest looking jhumka in the market. However, if you like to nail your look with more specific details, opting for colored stone choice would be a wise idea. If budget is not an issue, do invest in a ravish diamond jhumka. Either you can opt for plain diamond earrings or you can go for the designs that have rubies or emeralds studded to highlight the diamonds. 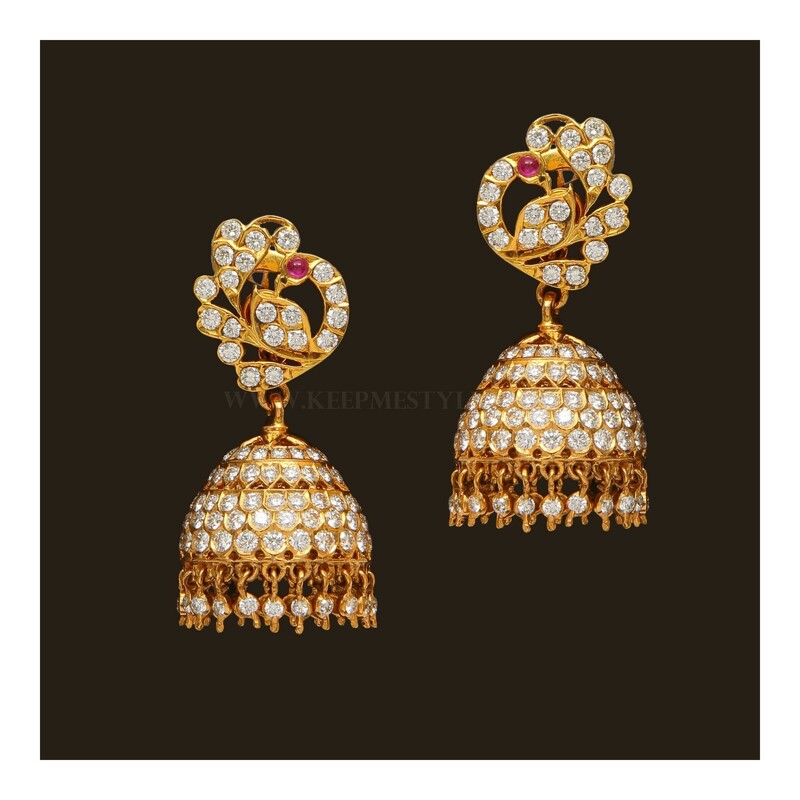 If you are a bride, and have all the money and time to invest in a best pair of jhumka that you can flaunt for years, without a doubt, invest on a antique diamond jhumka model. If there is one model, that’s been selling crazy this decade, it is the antique ruby jhumkas. Either you can opt for kemp rubies or simple cz stone rubies. 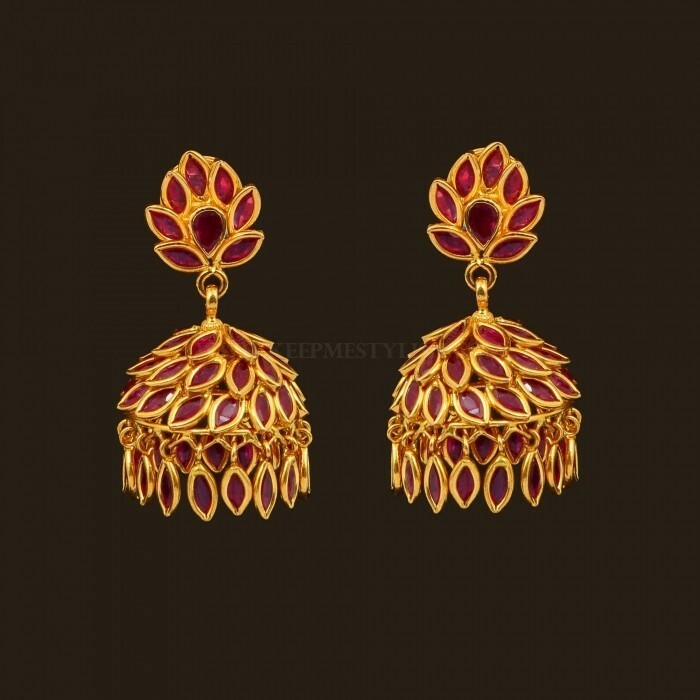 Whatever be the case, these ruby jhumkas will be a best match for all your red hued sarees and other ethnic outfits. If budget is an issue, don’t worry, you can get a gold plated or one gram gold jhumkas which are available at much lower price and can fit your bill perfectly. The classic jhumka model which reigned the period of our moms and grand moms are still refusing to let go off the clutch it has on women. Yes, antique kemp jhumkas are still trending hot this period and it can be donned up by anyone irrespective of age barriers. If you ask us to pick one among the all the jhumas models, then this is it. When we say kemp stones, mostly the color red dominates this model. However, you don’t have to restrict your choice only to red, these jhumkas are available in all other colors (blue, green to name a few) too. 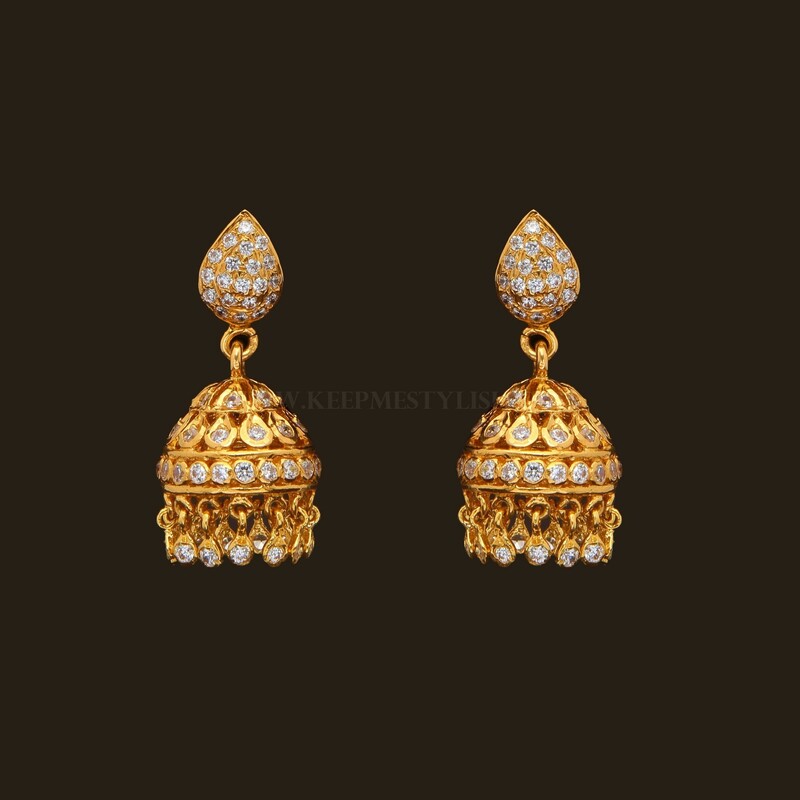 Temple jhumkas are another popular model of this time. Check out any bridal event, you will see this beauties adorning our women everywhere. 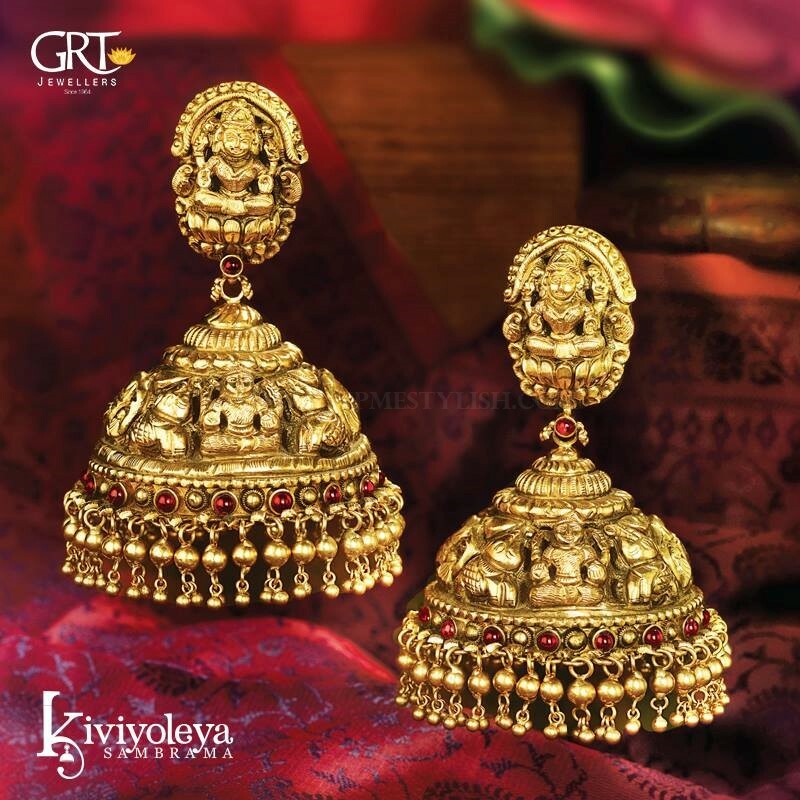 The most popular design is a matt finish god image embossed antique jhumka with ruby and pearl clusters at the bottom. It’s available in all size but our recommendation would be to pick a bold one to make a statement. You don’t have to invest heavy amount to get this one. There are plenty of premium quality one gram jumkas with the price tag of Rs.1000 are available in the market. If you want a fuss-free basic jhumka model that you want to wear it with simple sarees, then do get a good, chic plain jhumkas. If you like to keep up with the trend, buy this one on a matt finish as they are highly favored by many. If long earrings are your thing, then ear hugging bold jhumka might not be your cup of tea. But please no worries. To suit your taste, there are plenty of layered jhumkas that even touches your shoulders ( Of course we exaggerate here) is available. All you need is to pick the one that suits you. Either you can opt for plain one or the stone studded sparkling one. Have a white saree, off-white lehenga, or ivory salwar suit then a bold pearl jhumka is a must. The good thing about pearl jhumka is, it can be literally flaunted with any dress without any restriction of colors. 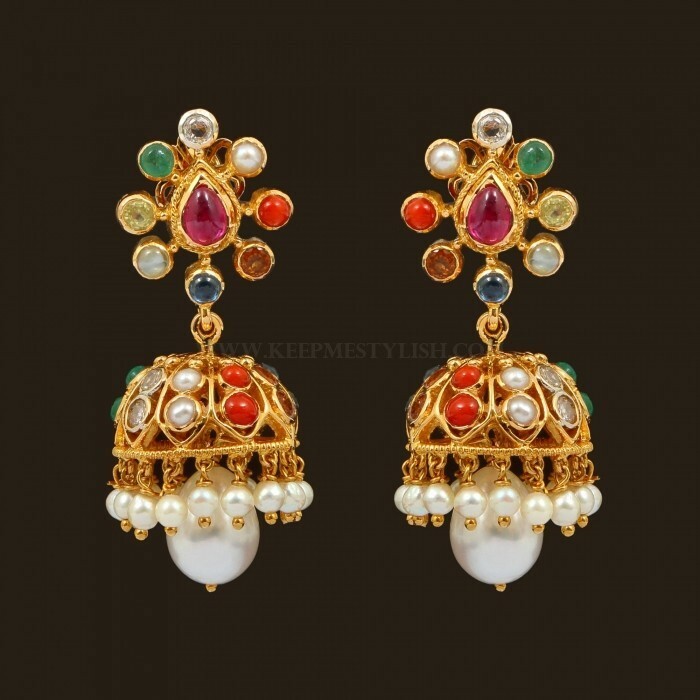 They magically sit well with all color choice, so having a good pearl jhumka is the best investment you can make. If you like to play safe, buy this one and skip the rest. You won’t regret. Ah..we know the fashion-loving, style crazed, uber cool women in you. That’s why you should get a hoop model to satiate your desire for buying a stylish model. These hoop jhumkas can be styled not just with traditional attires but also with your fusion and western suits. The classic combination of ruby and emerald makes a wonderful spectacle on any jewellery let alone a jhumka. If you like an arresting jhumka model for your green and red outfits, trust this model. If you ask for an antique jhumka model, most shop will show you only the ruby emerald antique design for it is so popular now. 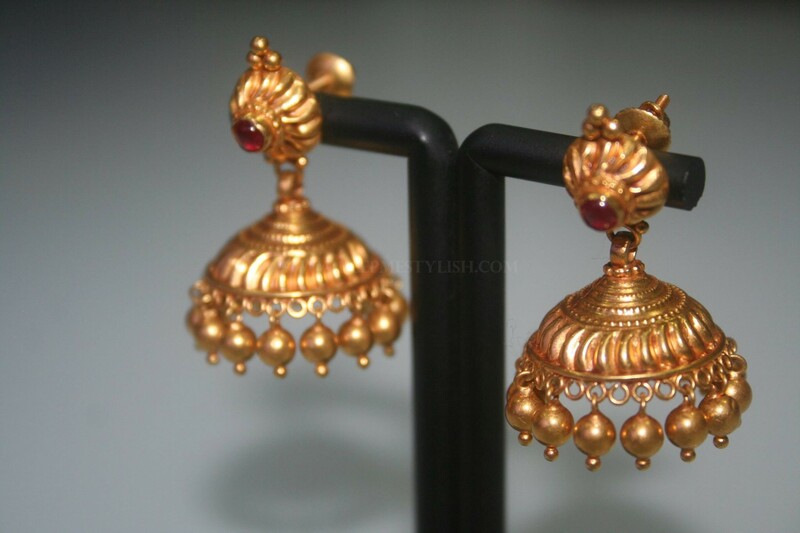 These are the basic antique jhumkas. Only if you are specific while shopping, you will be shown other designs. 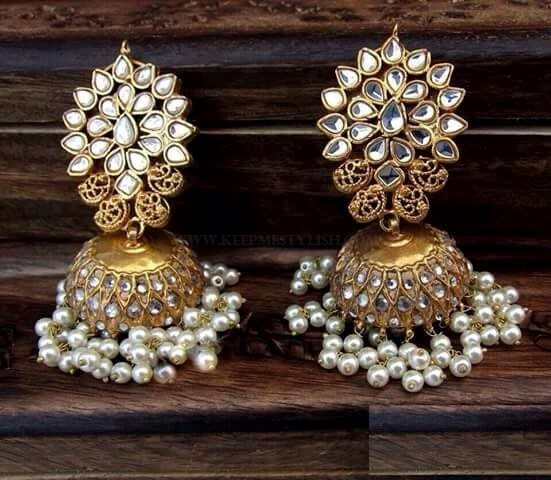 If you care for details, then there are many motifs which are known to look super elegant on a pair of antique jhumka. However if you want us to point one motif that wins everything else, then it should be a gorgeous peacock design on your jhumka. They make a best stand out design on antique jewellery any day. 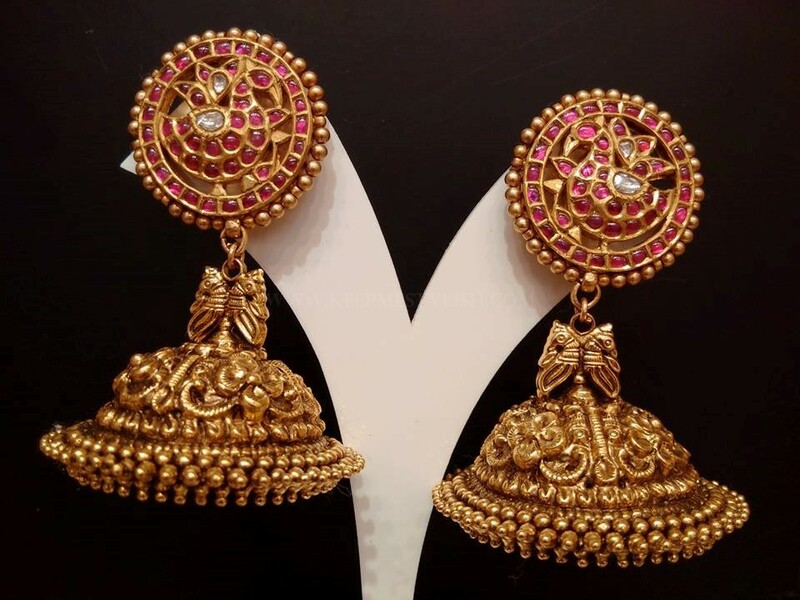 Like to own a perfect model that you can flaunt on all poojas and other traditional events then choose your jhumka with goddess Lakshmi image embossed on it. It is not only an auspicious model but also a downright elegant one to wear with your sarees. Have a multicolor saree? then wearing a pair of jhumkas studded with 9 percious stones will make others so intrigued on your choice of jewellery. Not just a multicolor drape, owing to the wonderful colorful stones, this model jhumka can be worn with any color saree. Kundan stones are becoming a thing now. These stones flair well on designer clothes more than traditional drapes. If you have a fancy lehenga or saree, then opting for bold jhumka studded with kundans and highlighted with pearls make a best choice. 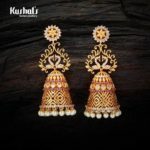 These are 14 unique antique jhumka models that are so popular in trend now. Owning them all in gold and diamond is near to impossible, however, that should not stop you from trying these beauties. You can either buy premium quality one gram gold jhumkas or pure silver (aided by gold plating) jhumkas to reduce the big dent on your wallet. 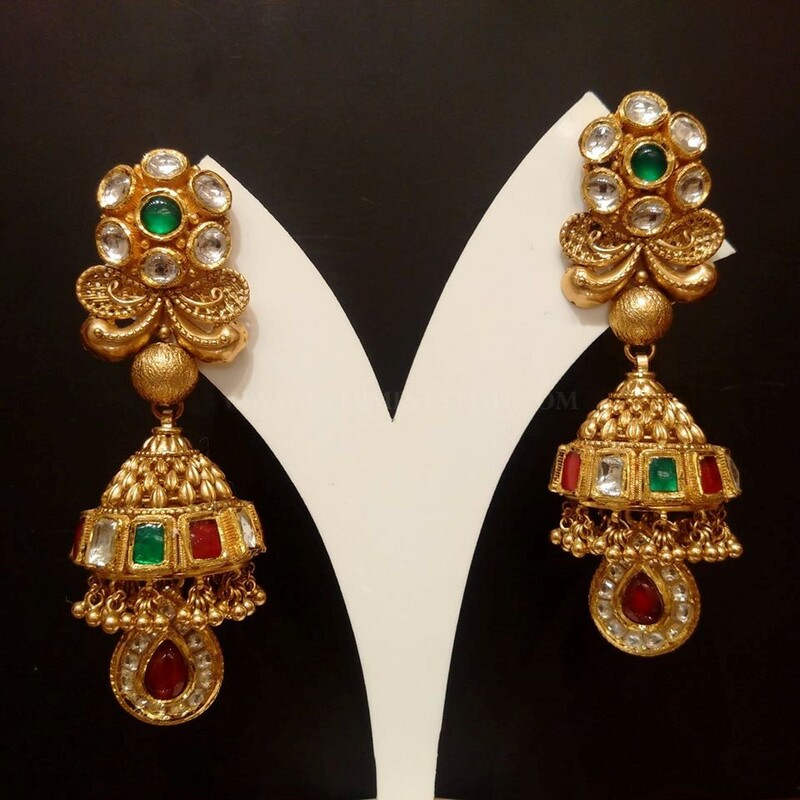 For experimentation, there are plenty of inexpensive gold plated jhumka available on online shops, you can try them first and select the model that suits you. Once you know what suits your face, you can then invest on your dream jhumka made of precious metals and stones. Now tell us what is your favorite among the list?